National Company based in Melbourne. The customer is a service and assembly operation for a major national heavy duty automotive business. The markets they operate in include automotive, construction, industrial/locomotive, marine mining, oil and gas, and power generation. They are manufacturers of filtration systems including air, exhaust, diesel emissions, lube, cooling and hydraulic systems. Bushmans have provided tanks which are used to store chemicals and water. 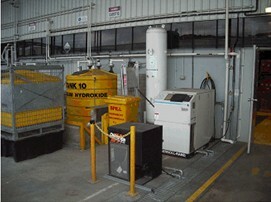 The Chemical tanks are located in a bunded area and are plumbed into the site systems. 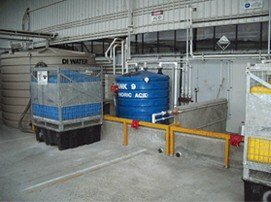 The tanks were manufactured from High Density Poly Ethylene (HDPE) which provide excellent chemical resistance and strength.